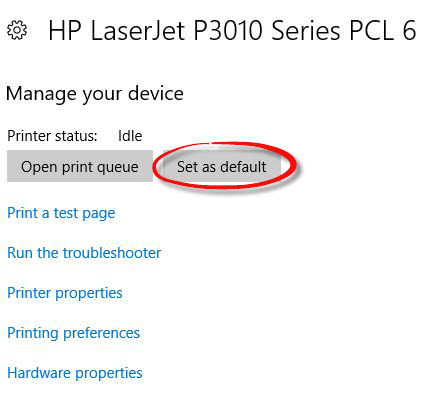 This guide is designed to help should you get the error message “no default printer selected” when using Payroll Manager with Windows 10. 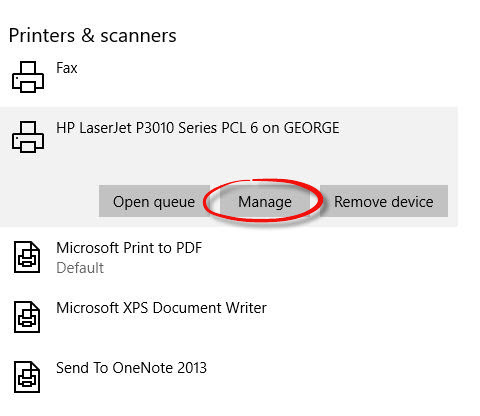 You may experience this problem for the first time immediately following a Windows update. 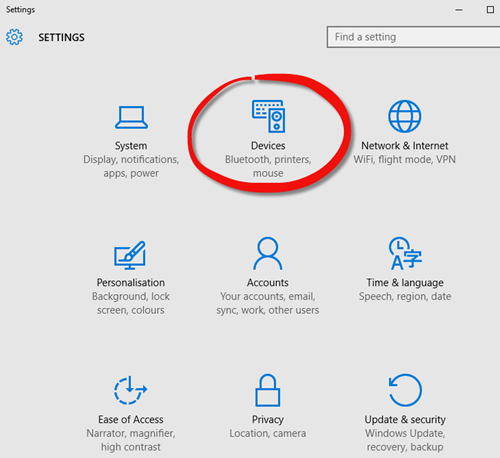 Click on the ‘Windows’ button at the bottom left hand side of the screen, then click ‘Settings’. 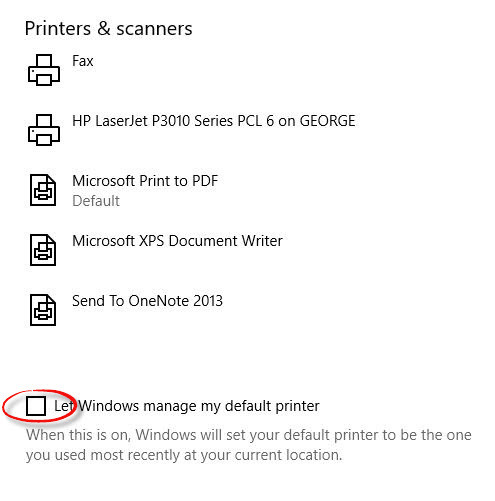 Make sure that the box marked “Let Windows manager my default printer” is un-ticked. 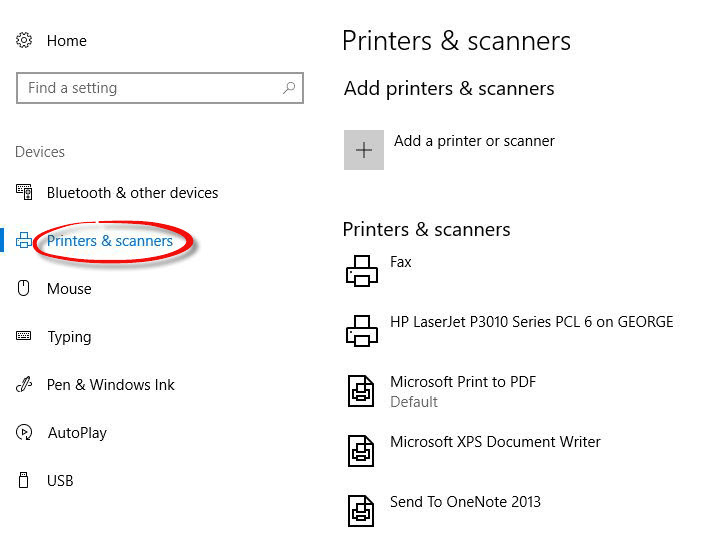 Click on the printer that you wish to use and then click on the ‘Manage’ button. 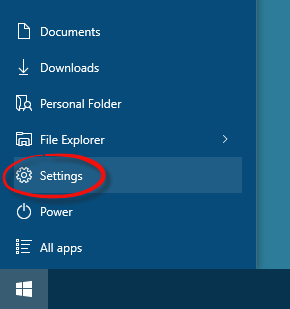 Click on the ‘Set as default‘ button and then close the screen. Run Payroll Manager and try again.